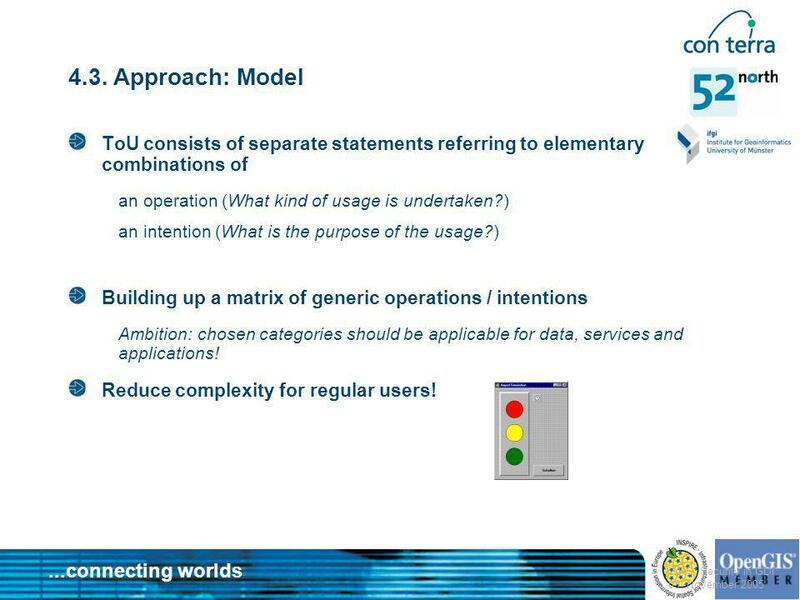 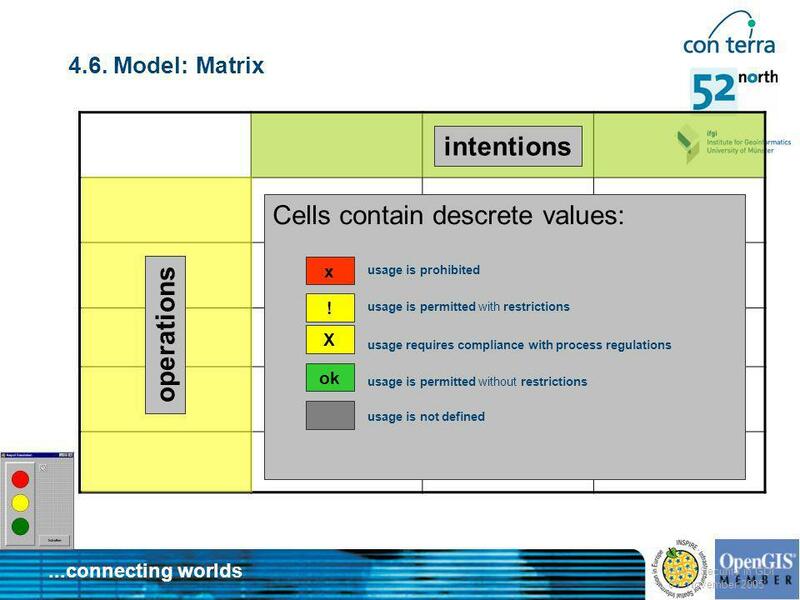 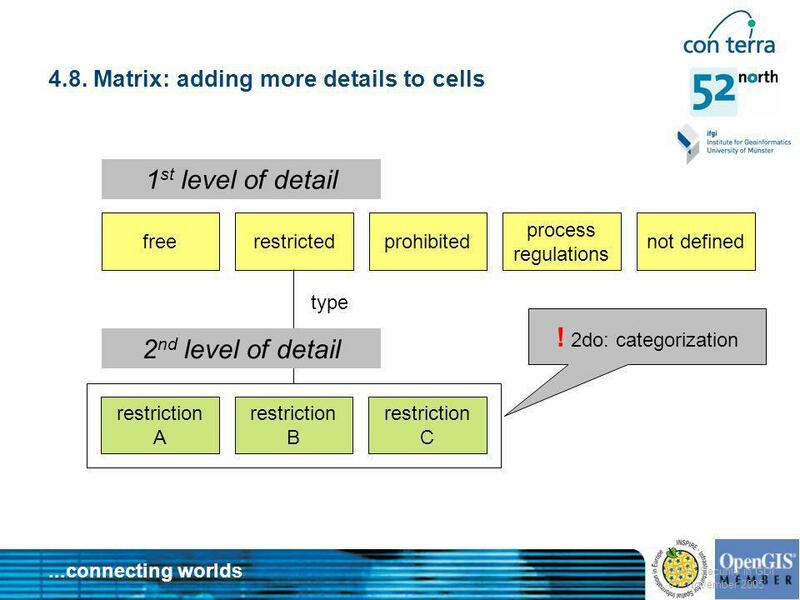 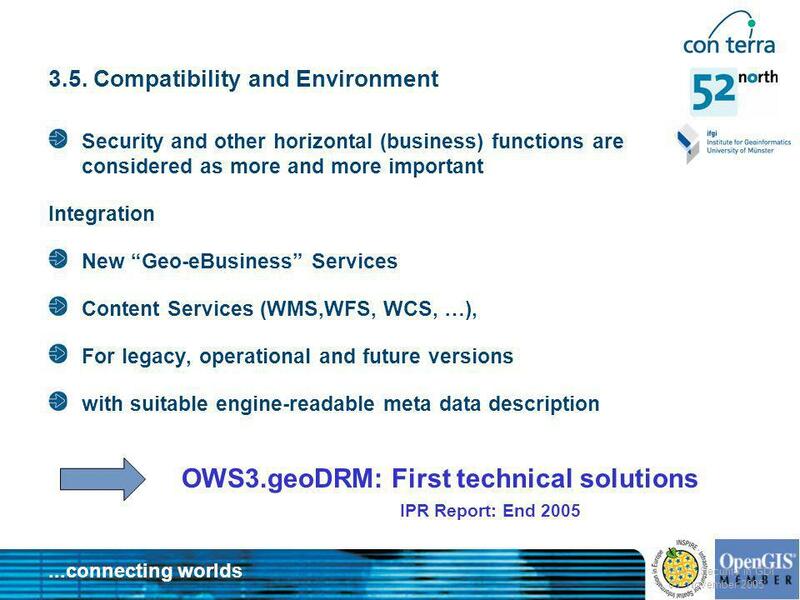 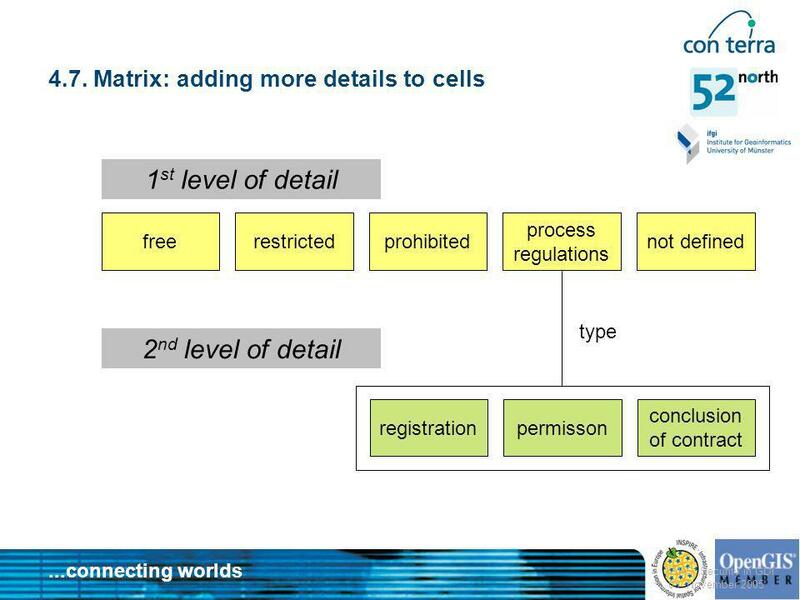 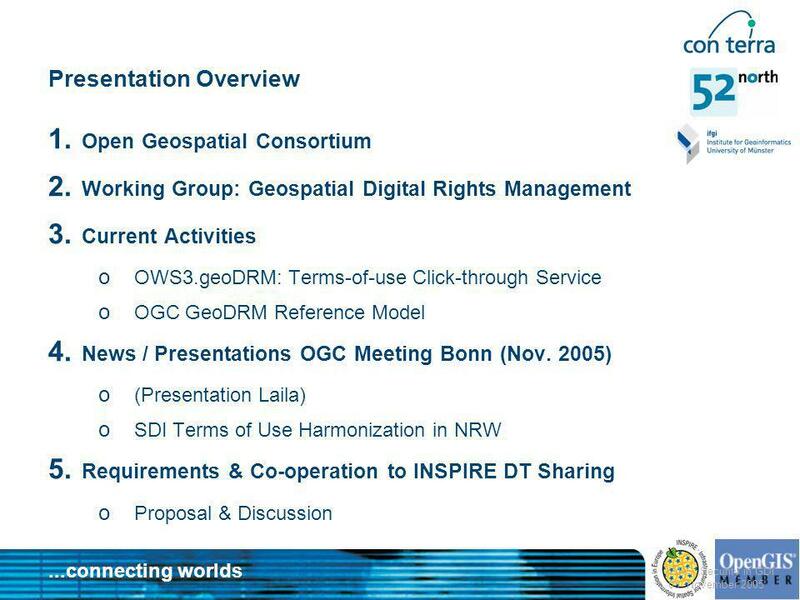 Download ppt "Digital Rights Management"
® ® Collaborative Development of Open Standards for Expanding GeoWeb to the Internet of Things Expanding GeoWeb to an Internet of Things A workshop during. 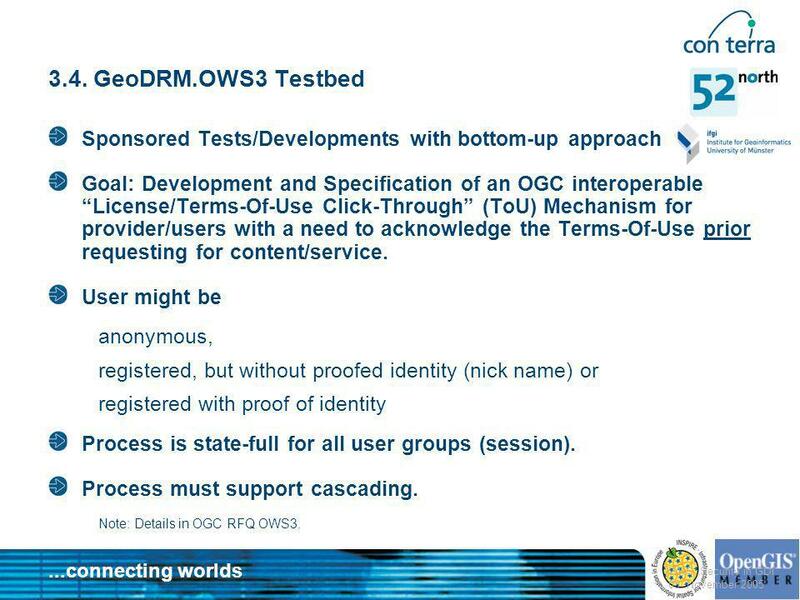 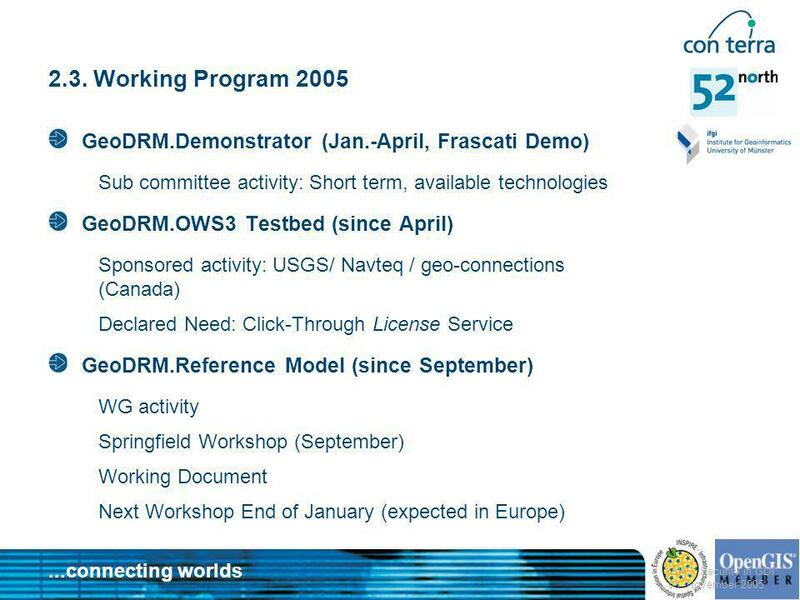 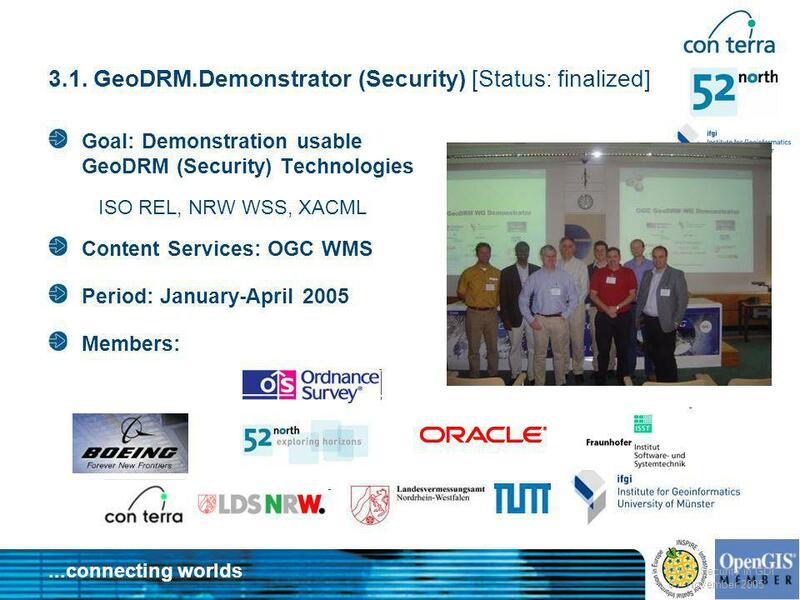 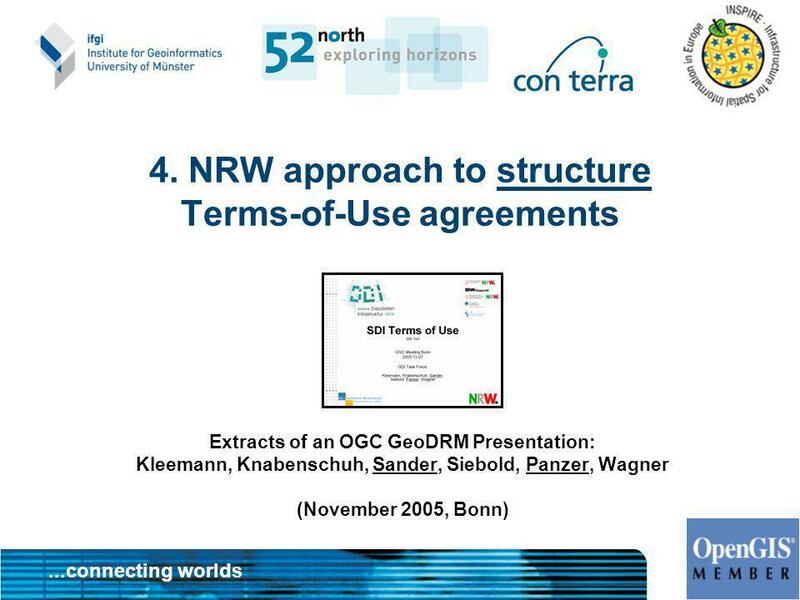 Datum Name Dr. Roland M. Wagner Overview: Geo Digital Rights Management Note: The Presentation and the paper do not represent any official OGC. 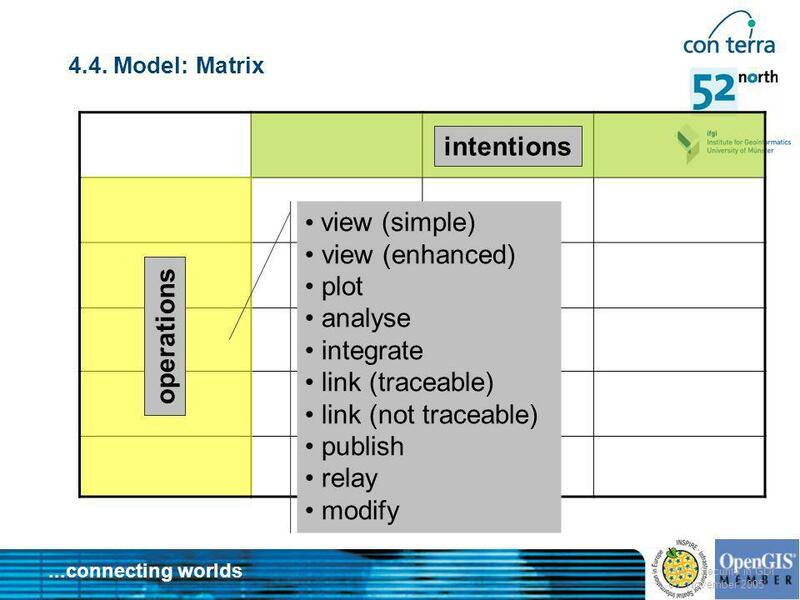 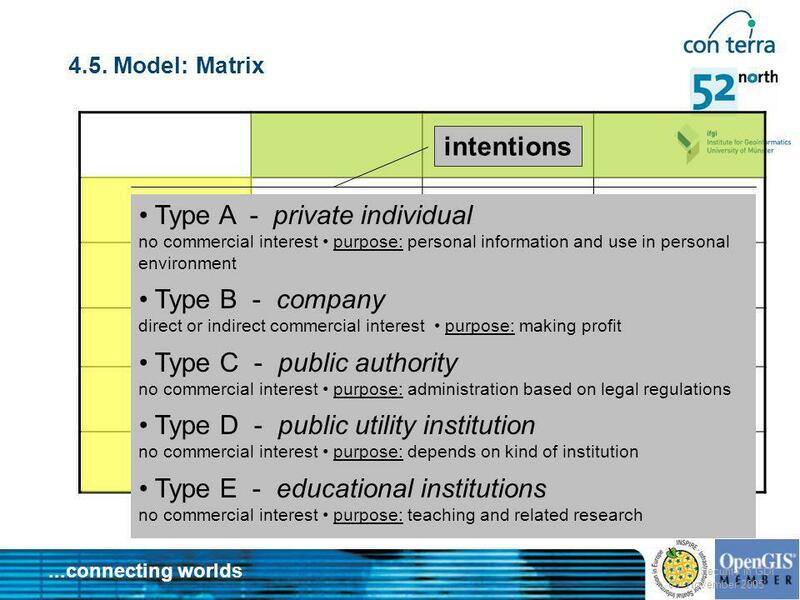 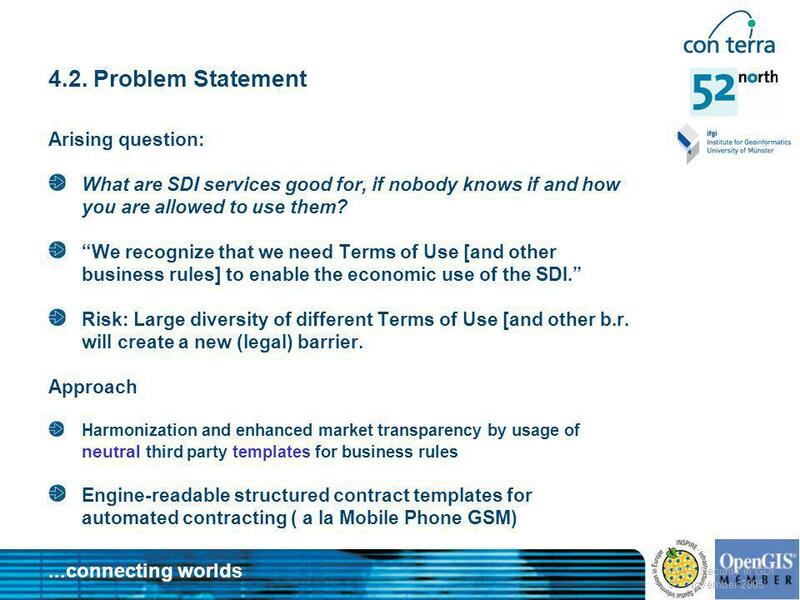 Datum Name Need for a Framework SDI Business Model EuroSDR eDelivery Workshop BKG, Frankfurt, Dr. Roland M. Wagner. 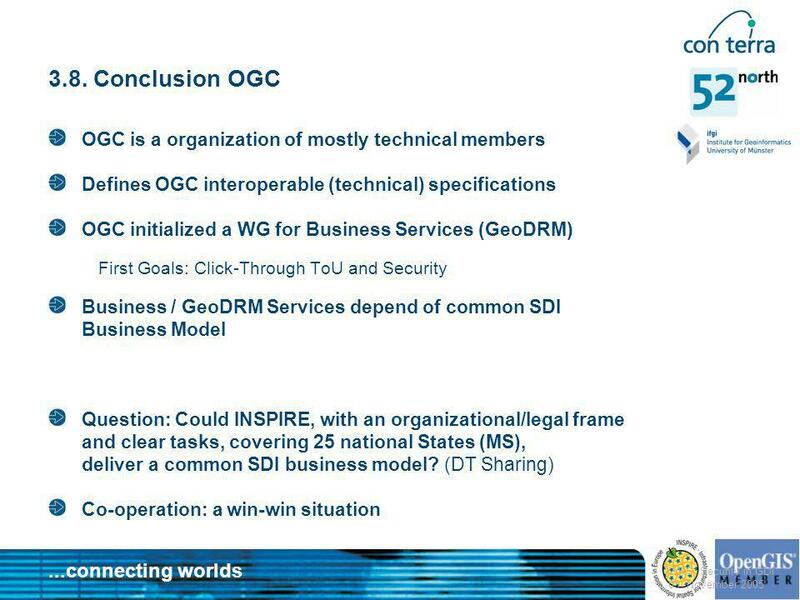 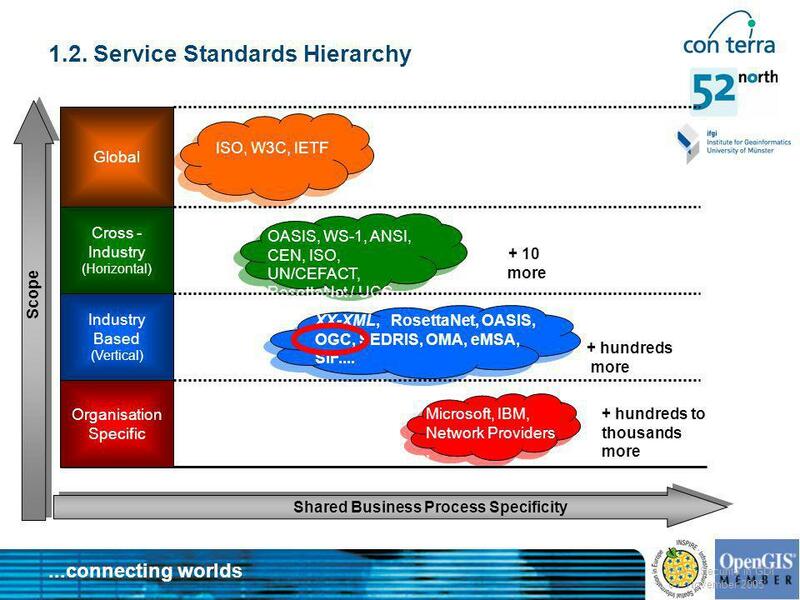 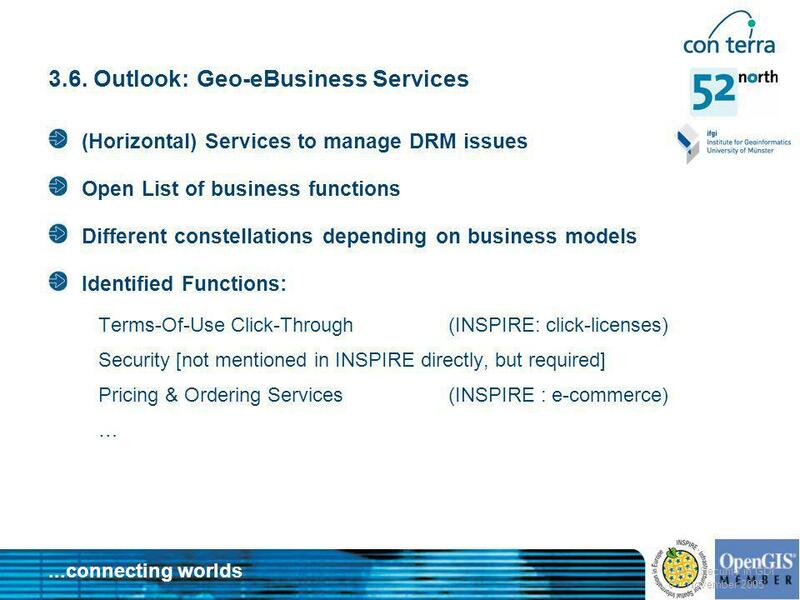 SDI Business Phases and derived INSPIRE Horizontal Services Relates to INSPIRE DT Network Services, DT Sharing Relates to OGC GeoDRM WG, Price & Order. 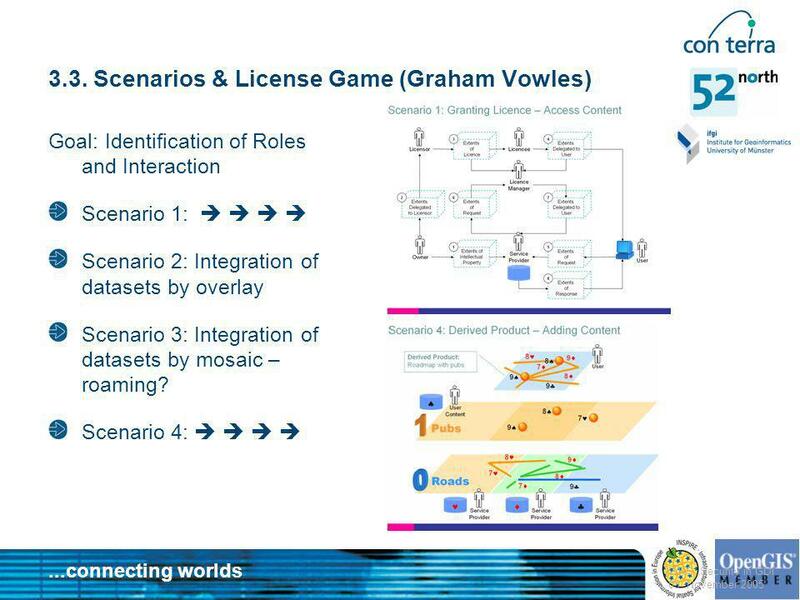 Dr. Roland M. Wagner (IFGI) Spatial Data Infrastructures: Architecture & Approach X-Border Spatial and urbanization planning Aachen Some slides. 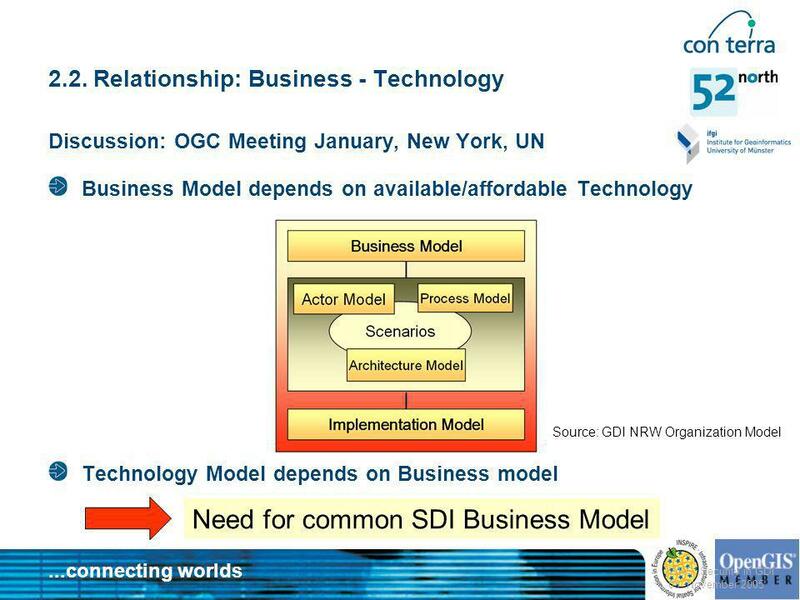 Institut Software- und Systemtechnik Fraunhofer ISST Chaining Façades: Higher Efficiency in evolution-enabled Spatial Data Infrastructures (SDI) 10th. 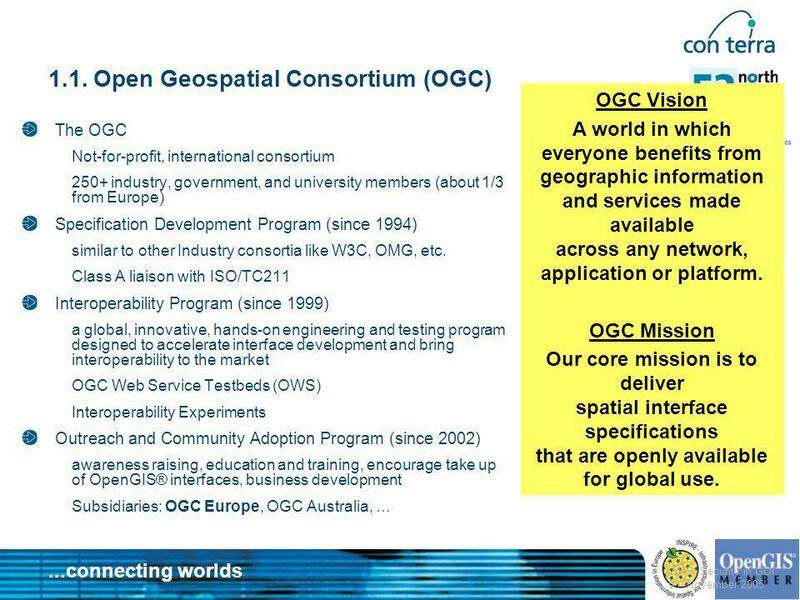 © 2004, Open Geospatial Consortium, Inc. EU INSPIRE Report on Data and Services Sharing and Network Services Drafting Teams Dr. Roland M. Wagner, Graham. 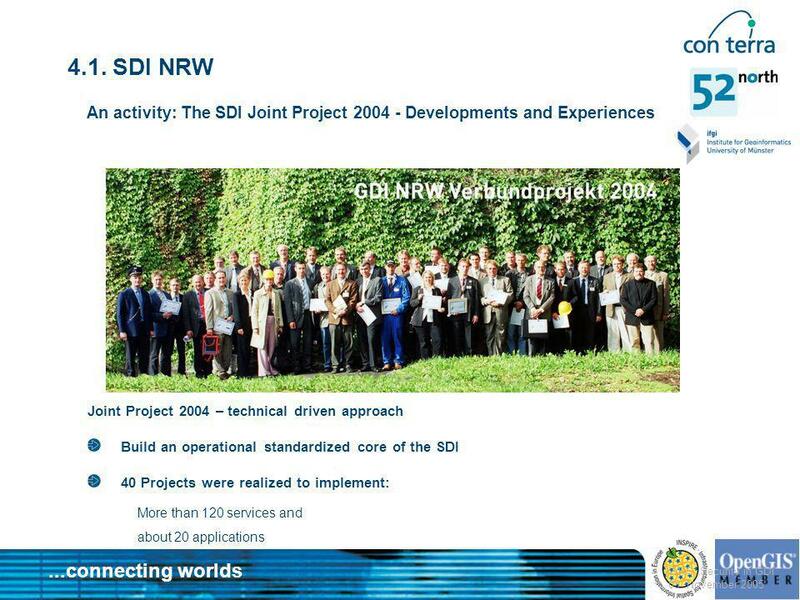 Date Name Dr. Roland M. Wagner Interoperability in a national and international context – implementing SDIs – NRW Case Study AGI Technical SiG. 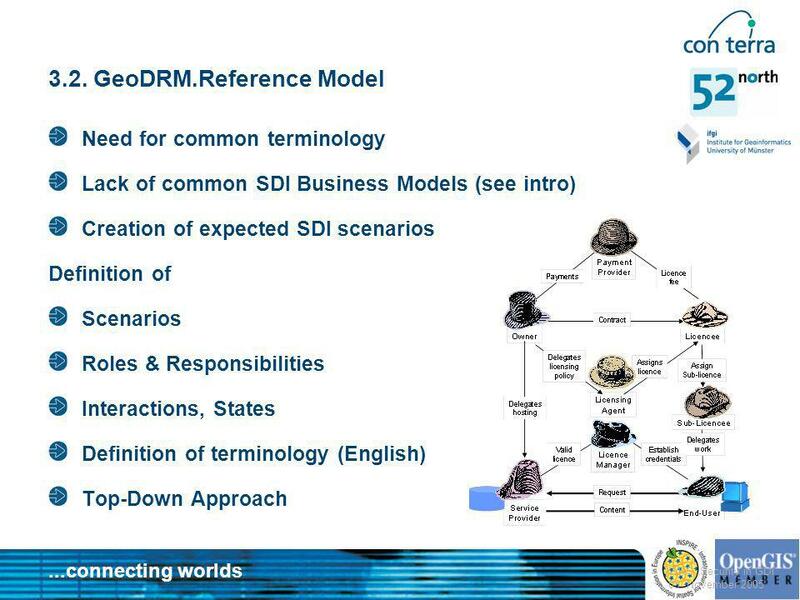 Cultural Heritage in REGional NETworks REGNET Technological Implementation Plan – D12. 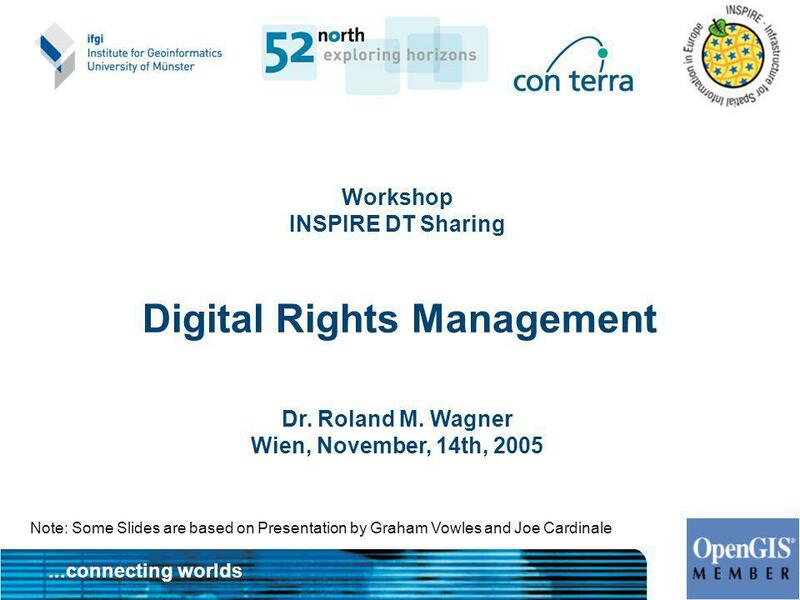 Copyright OASIS, 2001 OASIS Recent Technical Developments John Borras Office of e-Envoy Cabinet Office UK Government June 2003. 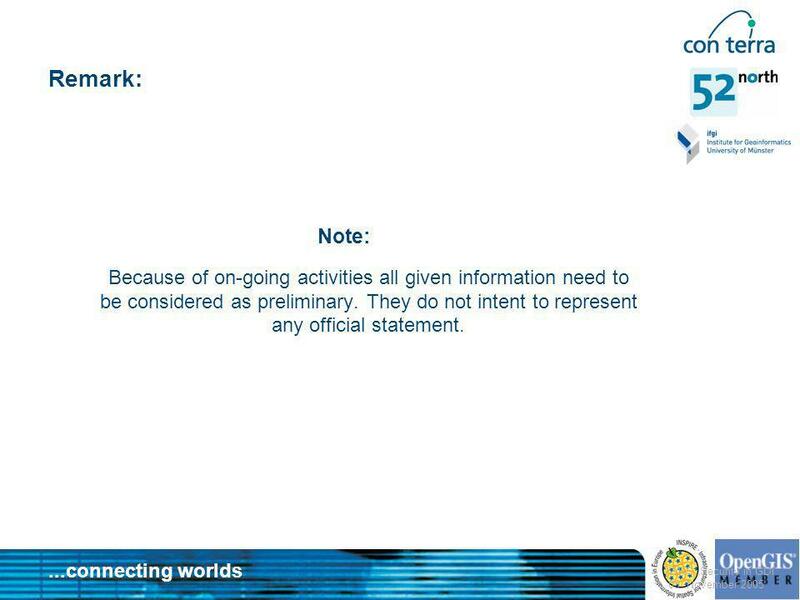 Where next…. 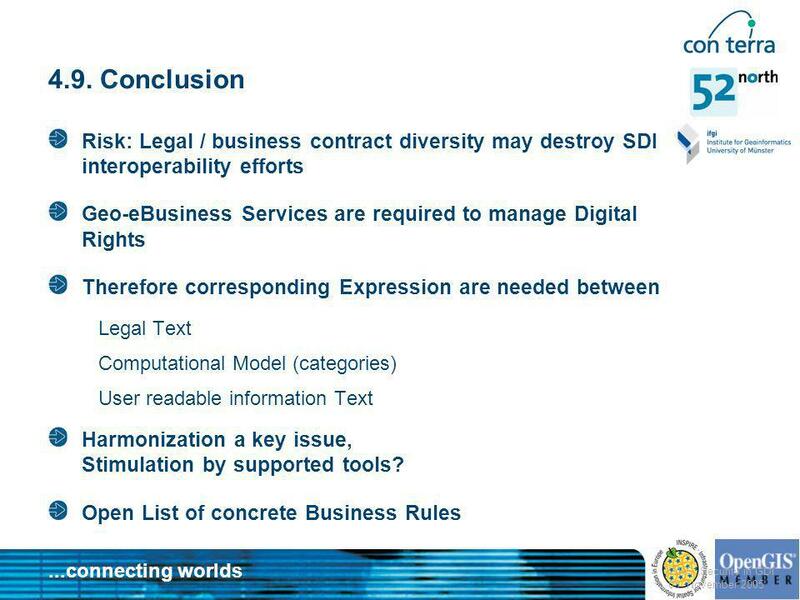 Stakeholder workshop, 29 Jan To the end of the project. 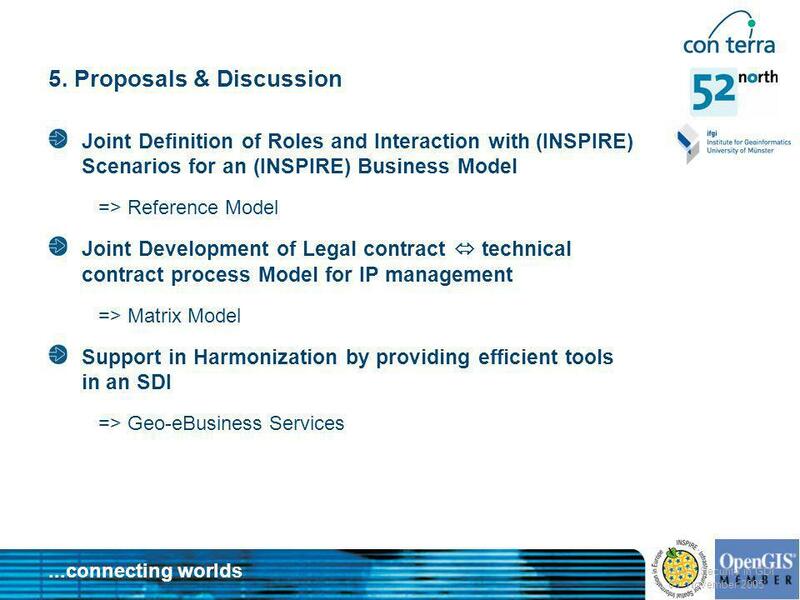 25/06/08 Roberta Lucà INSPIRE Conference2008 Legal aspects about sharing geodata 1 L.Garretti, S.Crotta, S.Griffa, M.T.Lopreiato, R.Lucà Legal aspects. Expert Group Meeting 2005 Centre for Spatial Data Infrastructures and Land Administration Department of Geomatics, The University of Melbourne SDI Requirements.